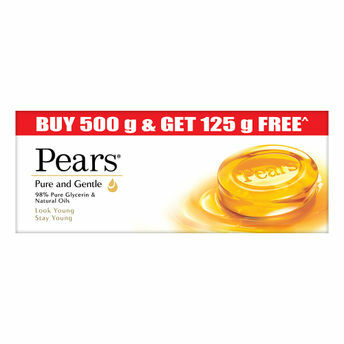 Pears Pure & Gentle is the original 225 years old glycerin bar that gives the gentle care of natural oils & 98% pure glycerin to your skin. It is the world's first transparent soap and advertised brand. Its undisputed credentials on mildness & purity, driven by its unique shape and transparency lend the brand an equity that lasts till this date. Pears is amongst the iconic brands in India. The Pears bar with its 98% pure glycerin preserves the beauty of your skin keeping it young. Pears treats your skin gently causing lesser damage than even baby soaps. Pears, which has 30 times more moisturisers than regular beauty soaps and is proven to deposit glycerin in 10 layers of skin. It increases hydration of your skin after a single wash. Pears also offers a 100% soap free Pure & Gentle hand wash, which is specially made to take care of your skin, cleansing thoroughly yet softly. It is a gentle way for you to attain clean healthy looking skin. It is skin pH balanced and contains skin conditioning agents and mild cleansers. It is hypoallergenic and non-comodogenic. 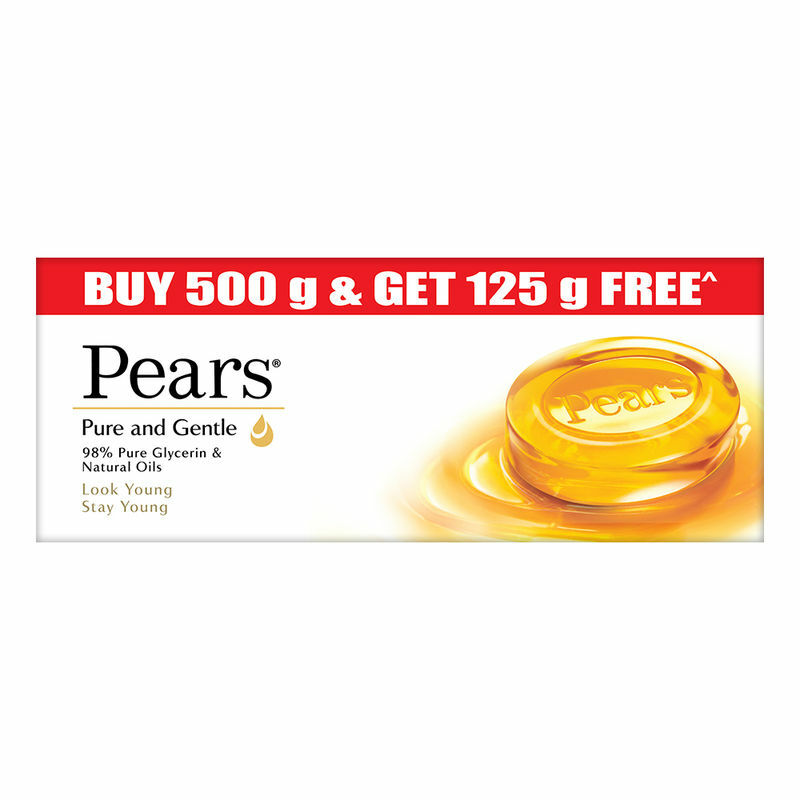 The Pure and Gentle Bar from Pears is available right here - Buy it Now! Explore the entire range of Combos @ Nykaa available on Nykaa. Shop more Pears products here.You can browse through the complete world of Pears Combos @ Nykaa .